Traveling to Europe during the holidays is magical, especially if you’re able to spend some time at one of Europe’s many beautiful Christmas Markets. Enjoy the spirit of the season throughout Europe’s most enchanting cities. In this ebook we will introduce you to 5 of the most spectacular Christmas Markets in the world. Plus, you’ll be surprised to know one is right in our own backyard! 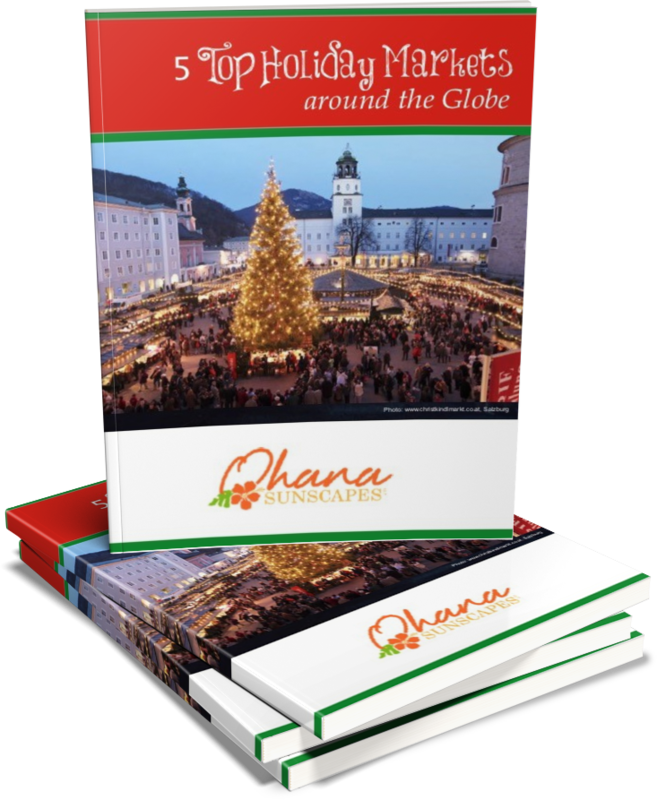 Download your free copy of 5 Top Holiday Markets around the Globe, compliments of Ohana Sunscapes. Have you ever visited a European Christmas Market?